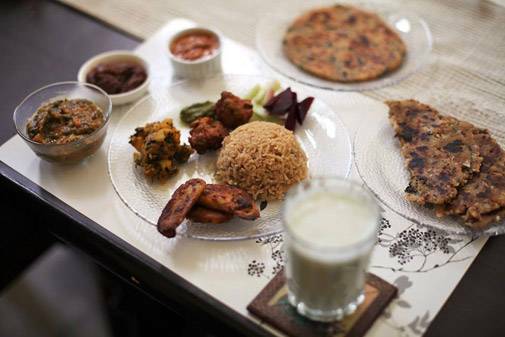 Authenticook has now more than 160 hosts who offer traditional meals like Goan, Gujarati, Deccan, Malayali, Lucknowi, Rajasthani, Tamil, Bengali, Burmese at their homes. En route to Alka's home in Munirka Vihar, opposite JNU main gate, on a rather sunny wintry afternoon in Delhi, my colleague and I were apprehensive of what kind of experience awaited us. To elaborate, we were going to a perfect stranger's residence for lunch. We had made the reservation through Authenticook, a startup that allows people to book home-cooked meal and dine at the chef's home. Alka was already waiting as we climbed up the stairs to her house, before she let us in to her bright, spacious living room. After a brief introduction, she offered us kaanji, a cool drink made of fermented carrots, mustard seed, salt and red chilli powder. Soon came delectable snacks - mirchi pakodas stuffed with potato, cashew and raisins mash, followed by dahi bhalla. 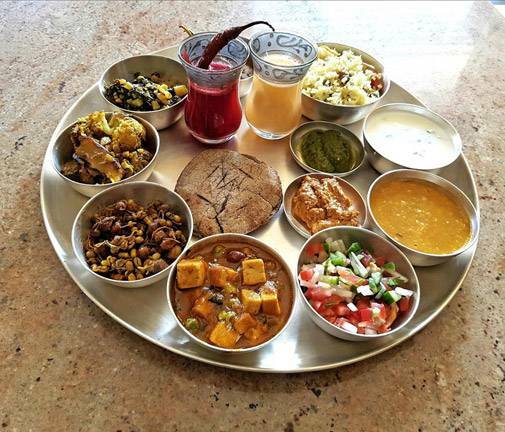 Once the starters were gobbled up within a span of minutes, Alka served us a Western UP vegetarian thali, an assortment of sabzis, dal, bedmi poori, aloo sabzi, kathal pulao, pomegranate raita, mirchi pickle and papad to go along with it. The meal was dangerously rolling over to become a multiple-course, and was far from over. 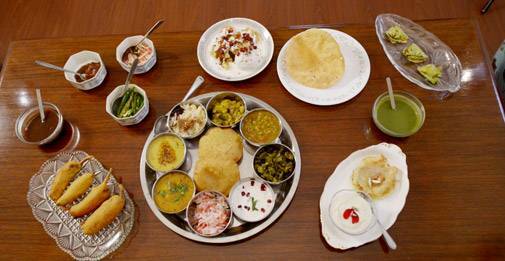 Once we lapped up the scrumptious thali, Alka served us rabdi and malpua, with spoonfuls of sugar syrup. She also offered a steaming cup of ginger tea to wash off our heavy-duty meal. The curtain was closed on the meal with a neatly folded meetha paan. Alka is an entrepreneur when she is not hosting diners at her posh South Delhi home. And she is not alone; like Alka, there is Yasmin who was Authenticook's first host, and Seema, Anjali, Pallavi and many more. 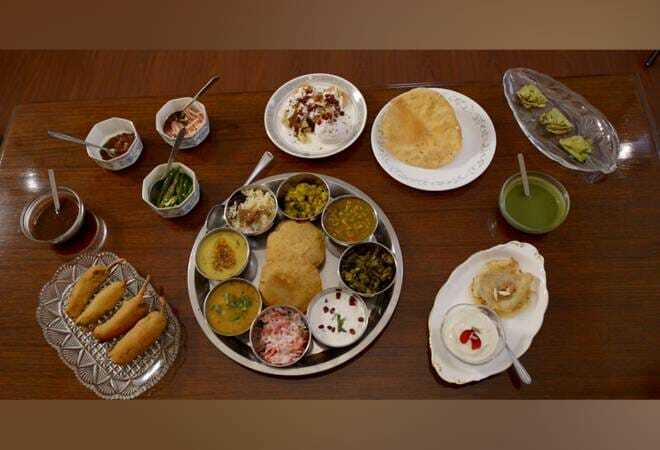 Authenticook has now more than 160 hosts who offer traditional meals like Goan, Gujarati, Deccan, Malayali, Lucknowi, Rajasthani, Tamil, Bengali, Burmese at their homes. Speaking to Business Today, Ameya Deshpande, 33, co-founder of Authenticook shared how the idea for the start up occurred during a trip to Ladakh with his wife Priyanka and friend Aneesh Dhairyawan who are also the co-founders of Authenticook. "We had gone to Ladakh and were visiting the Leh market, where to our disappointment, we found burgers and pastas all around us," he adds. So, the three wondered the best way to interact with someone from another community. The answer, as Deshpande says, was food. 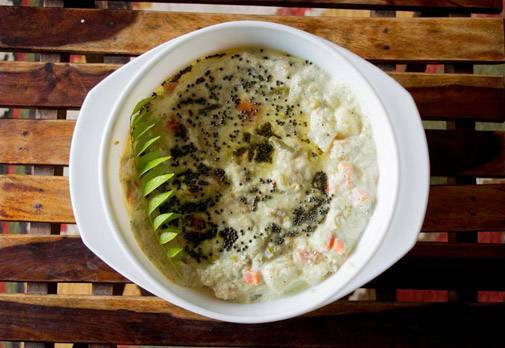 Deshpande and co have roped in home-chefs, primarily women, who, they believe along with earning also get a way to socialise and meet new people through their platform. The start up operates in seventeen cities - Agra, Ahmedabad, Amritsar, Bengaluru, Chennai, Goa, Gurugram, Jaipur, Jodhpur, Kochi, Kolhapur, Lucknow, Mumbai, New Delhi, Puducherry, Pune and Udaipur. They are likely to expand to more places in the months ahead. The business model adopted by Authenticook is quite simplistic. "For instance, if the meal is for Rs 1,000, we keep 20-30 per cent and the balance goes to the host. It is all commission-based," Deshpande explains. Authenticook's innovative model was recognised by Amsterdam-based travel e-commerce giant, Booking.com, who funded them for 200,000 Euros or Rs 1.5 crore in 2017. "We were the only Indian startup to make it and we were given the full amount we asked for," Deshpande says. Deshpande, Deshpande and Dhariyawar are pretty clear about what they do not want Authenticook to transform into - a delivery platform, with few or no interaction with the chef. They also only bring in chefs who are willing to cook traditional meals they have a strong connection with. As much as the founders are considerate about the hosts or chefs, they also try and make it as comfortable to the diners. The confirmation mails they send out include the minutest details - how many flight of stairs will the diners need to take, is there an elevator to access the host's home, can diners smoke inside the host's house, can shoes be worn inside the host's home, does the host have any pets, is there parking available, Google Maps direction to the house and so and so forth. Deshpande very modestly acknowledges that they are not offering any 5-star hotel luxury, but a comfortable and homely experience. The three founders want to eventually take their venture abroad and make it a global concept. Before ending the long conversation with Business Today, Deshpande says something which might point towards Authenticook's uniqueness. He says, "Authenticook offers meals between equals, not as much a transaction. We are looking to bring people together and hope that when they part ways after the meal, they add each other on Facebook and remain in touch. And I hope they experience a great meal in the process." Will Ruias challenge insolvency proceedings if Numetal gets disqualified?